Healthcare leaders from across the nation are renewing calls for the Centers for Medicaid and Medicare Services (CMS) to shorten the meaningful use (MU) reporting period in 2015 and provide more program flexibility, citing concerns with lower-than-expected Medicare numbers and continued reports detailing nationwide difficulty in meeting federal guidelines for electronic health records (EHR) requirements. According to newly released CMS numbers, less than 17 percent of the nation’s hospitals have demonstrated Stage 2 capabilities. Further, less than 38 percent of eligible hospitals (EHs) and critical access hospitals (CAHs) have met either stage of meaningful use in 2014, highlighting the difficulty of program requirements and foretelling continued struggles in 2015. And while eligible professionals (EPs) have until the end of February to report their progress, only 2 percent have demonstrated Stage 2 capabilities thus far. Officials from the American Medical Association (AMA), College of Healthcare Information Management Executives (CHIME), Healthcare Information and Management Systems Society (HIMSS) and Medical Group Management Association (MGMA) called the results disappointing, yet predictable. CMS data required by Congress indicate that more than 3,900 hospitals must meet Stage 2 measures and objectives in 2015 and more than 260,000 eligible professionals (EPs) will need to be similarly positioned by January 1, 2015. Given the low attestation data for 2014 and the tremendous number of providers required, but likely unable to fulfill, Stage 2 for a full 365-days in 2015, healthcare leaders have pressed for a shortened reporting period in 2015, mirroring the policy of 2014. A coalition of national provider groups have repeatedly told CMS that a shortened reporting period will have a dramatically positive effect on program participation and policy outcomes sought in 2015. Additionally, allowing flexibility in how providers meet the Stage 2 requirements, particularly related to transitions of care and view, download, transmit measures would also improve program participation. In response to a CMS final rule issued in September, provider groups sent a letter to Health and Human Service Secretary Burwell saying additional time would help hundreds of thousands of providers meet Stage 2 requirements in an effective and safe manner. Further, the group of nearly twenty national provider organizations said a shortened reporting period and flexibility on the transitions of care and view, download, transmit measures would serve as positive incentive for those who must seek alternative paths to MU in 2014 to continue their work in 2015. 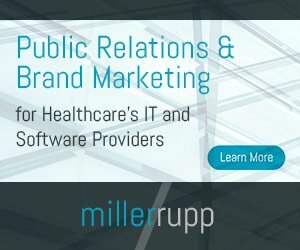 “The agency’s decision to require a full-year of reporting using 2014 Edition certified EHR technology (CEHRT) in 2015 puts many eligible hospitals and physicians at risk of not meeting Meaningful Use next year and hinders the forward trajectory of the program,” the letter states.